A Central Java consumer organization has called on the government to lower tolls along the 938-kilometer trans-Java toll road, which began operating early on Monday. “We hope the tolls would be revised down to make them affordable for all users,” the chairman of the Central Java Consumer Protection and Supervision Institute, Ngargono, told� The Jakarta Post� in Semarang on Monday. Meanwhile, a number of truck drivers said that, although the trans-Java system could shorten their travel times, it did not cut costs. Ngargono said, ideally, tolls should be between Rp 500 and Rp 700 per kilometer, depending on the location. “There are toll roads that came with high construction costs. 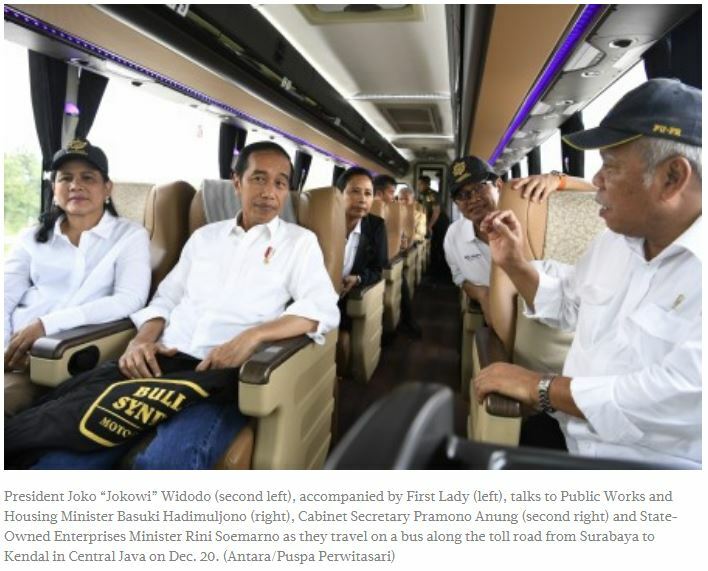 For such roads, the operator could impose a rate of Rp 700 per km, while for toll roads with lower construction costs, the rate is expected to be Rp 500 per km,” he added. He said if toll road rates were too high, drivers might opt to use regular roads, which could worsen traffic. A truck driver, Wignyo, said driving on regular roads from Semarang to Jakarta takes about 24 hours, compared to the seven to 10 hours it takes on toll roads. “There are traffic jams in a number of areas on conventional roads. We also need to stop more frequently to drink coffee and to chat with other drivers,” he said. Hartono, another driver, said toll roads reduced fuel consumption by around 20 percent but did not cut travel costs because of the high rates.